New brand: Petra Reijrink hand-crafted jewellery! 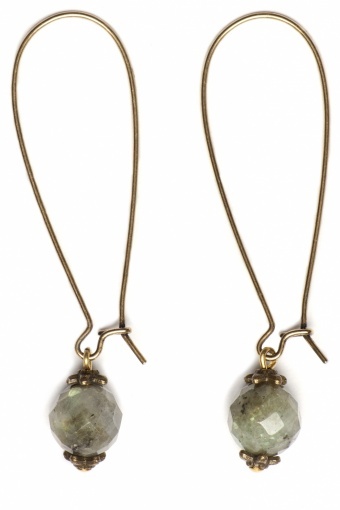 Handmade Vintage Labradorite large earrings gold. 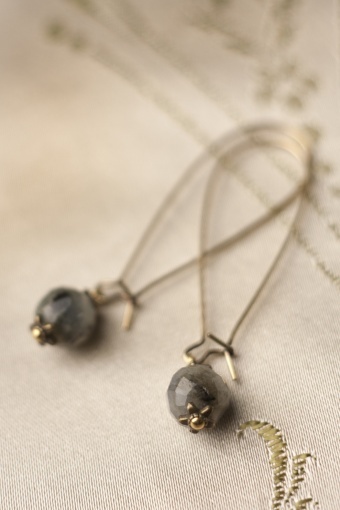 Simple yet classy long earrings 40s inspired with a beautiful grey faceted Labradortie semi-precious gemstone in a vintage setting. Made of gold-plated metal alloy (nickelfree). Timeless chic! Also in green Agate. As seen on Margriet magazine!